[SatNews] Three GLONASS global navigation system satellites were placed successfully into their designated orbit on September 2nd. 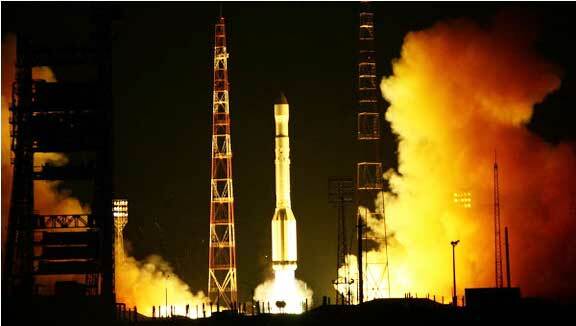 “The launch vehicle Proton-M, which was blasted off at 4.53 am Moscow time on Thursday from the Baikonur spaceport by the upper stage rocket DM within a period between 8.26 am and 9.12 am Moscow time put three satellites GLONASS-M on the designated orbit,” spokesman for the Space Troops Lieut. Col. Alexei Zolotukhin told Itar-Tass, the Russian news agency. “The separation of satellites was made as scheduled. The stable communication with the satellites was established and is being maintained. The satellite onboard systems are operating well,” he noted. “The placement of each of three satellites in the designated point of the orbit will be made thanks to the engine switch-on,” a source in the Federal Space Agency (Roskosmos) said. “New satellites should be made operational fully for 45 days since the launch moment,” the source said. The satellites will operate on the circular orbits at an altitude of 19,100 kilometers and with the inclination angle of 64.8 degrees. The Thursday launch is seeking to build up the GLONASS orbital grouping. According to the Machine Building Central Research Institute, “The orbital grouping included 23 satellites, 21 of which on the designated mission and two in the orbital reserve” as of September 1, 2010. At least 18 operational satellites, 24 satellites on the global scale, are needed for a constant GLONASS signal for all of Russia's territory. The GLONASS satellites will be placed on the orbits in three projections 120 degrees from each other, with at least eight satellites in each projection. 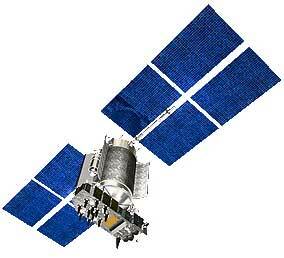 The payload of the satellite GLONASS-M is 1,415 kilograms. Its service life is seven years.